"Thank you for the help finding it and I was super happy to have this accessory with me on the day :)". 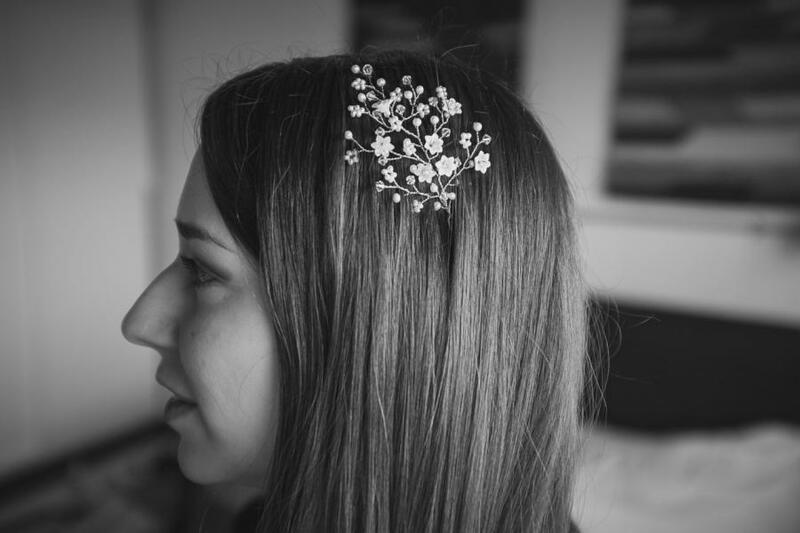 Fernanda wearing her beautiful Violette Hairpin specially made by Hermione Harbutt. Photography by Vitor Munhoz.